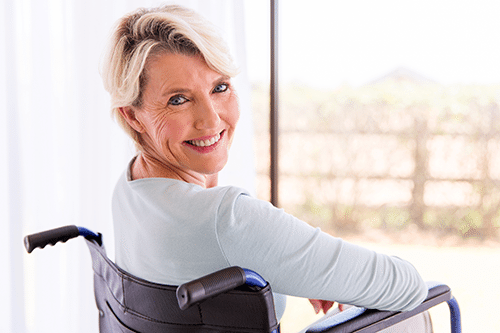 Independent Living is based on the concept that a person with a disability can lead a constructive life as a functioning member of his or her community. It recognizes that one’s worth, as a vital human being, is not diminished because of a disability. Building skills and confidence to live an independent lifestyle requires programs that provide peer support, assistance in purchasing needed equipment, and hiring and managing a personal care attendant, with a whole spectrum of services provided by professionals. These programs and services are offered through Centers for Independent Living (CILs). NEILS is a Center for Independent Living which provides services to residents with disabilities in Northeast Missouri. Independent Living also requires the cooperation of the community. It’s hard to hold down a job, shop, or go to the movies when public transportation and buildings are not accessible. It’s hard to exercise one’s rights as an American to vote when voting booths are not accessible. When a community is educated on disability issues, it’s easier for everyone to come together to make living in the community better for everyone. In 1972, a group of people with disabilities who wanted to take control and be responsible for their lives, started the first Center for Independent Living in Berkeley, California. From those humble beginnings, the Independent Living Movement has produced more than 400 CILs in the United States and hundreds more abroad. Hannibal Mayor Richard Schwartz declared July 22-26 ADA Week in Hannibal, celebrating the signing of the Americans with Disabilities Act on July 26, 1990. This date is celebratory of most people with disabilities in the United States. NorthEast Independent Living Services (NEILS) was incorporated on August 2, 1994 and began as a grassroots effort by community members with disabilities to educate the broader community about disability-related issues in Northeast Missouri. In February 1996, NEILS received funding and opened its doors for services. NEILS offers a full range of programs for individuals with disabilities and any family members, employers, and/or co-workers wanting to learn more about disabilities. To enhance the rights and independence of people with disabilities to actively participate in their communities and to live self-determined lives. Our vision is for Northeast Missouri to be accessible for all people and for our communities to foster and promote acceptance and diversity.